Marketing Automation is an integral part of business. It has the potential to draw positive growth and success of your trade. Today, it is not just a lead generation tool, in fact it has powerfully emerged as a revenue- generating mechanism. Companies who embrace marketing automation are more structured and consistent to efficiently seize and manage leads. They are likely to sell more to existing contacts, convert more leads into sales and accurately measure returns from various marketing efforts. In case you are considering this strategy for your company, it is crucial to first have a better understanding of the key benefits. Mentioned below are few such points which would definitely encourage you to integrate this technological- tool in a business plan to brilliantly shape the overall course of success. Capture the Correct Lead: Marketing Automation provides the correct framework for your potential customers. It gives you a complete log, an insight on customer trends which helps you to capture the right lead. Moreover, you can define characteristics, demands, behaviours and customer feedback that indicates the overall buying nature of the prospect. Such deep data therefore, a thorough classification can be used to efficiently manage and nurture leads for future reference. Save Time: Nurtured leads are more likely to close faster. Today, through marketing automation your sales team can easily see for prospects content and activities in real- time. This removes their blindfold and helps them to better understand when to approach or call a customer, excluding the concept of cold calling. Accordingly, they can knock the right door with a more customised slant and save a lot of time. Automatic Follow- Up: Timely follow up is critical. Today, a sales team has numerous leads and they often tend to forget many in the process. However, with marketing automation tool, you can ensure that each lead is followed up. The tool shouts regular alarms until well noticed, it never forgets to reminds you to contact your prospect. This effective automatic follow up can be set on all leads that require a follow up. This increases your chance to seal more sales and alongside, increases productivity of your employees. Enhance visibility: You can effortlessly manage all your social media campaigns from one dashboard. Marketing automation helps you to post to multiple accounts in one-go, eliminating the need and time to visit different social platforms. It leverages you to speedily reach your target audience and thereby accelerates your visibility at the digital front in a short span of time. 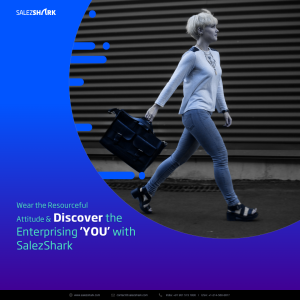 Today, an enhanced visibility is the first step in the route to sales. It minimizes a lot of effort, when you approach a customer and they already know you. Conclusion: Sales needs constant intelligence and time. 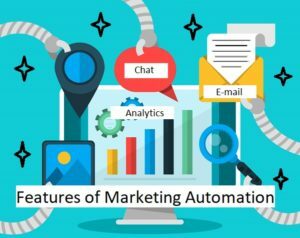 Marketing Automation is one such brainpower in business that can immensely aid you in your endeavor to achieve rapid growth and success. This is one versatile tool that you should positively gift your employees to help them identify, nurture, approach and close new sales.